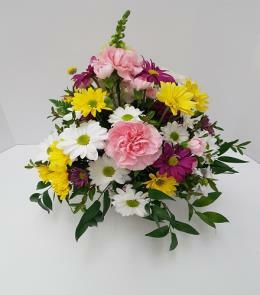 Always created by hand with white flowers. 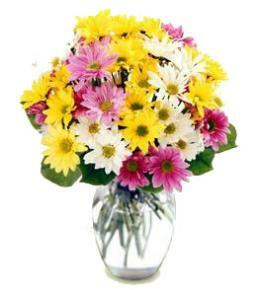 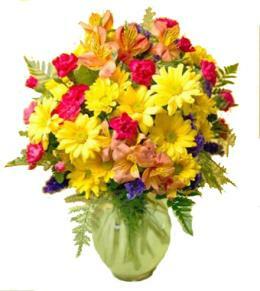 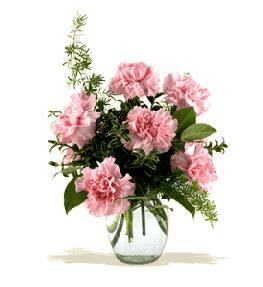 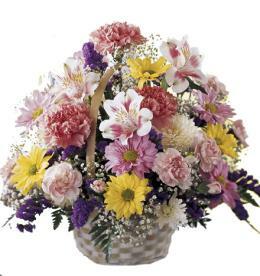 Special Blessings Bouquet is a wonderful arrangement that will bring peace and comfort to friends and family. 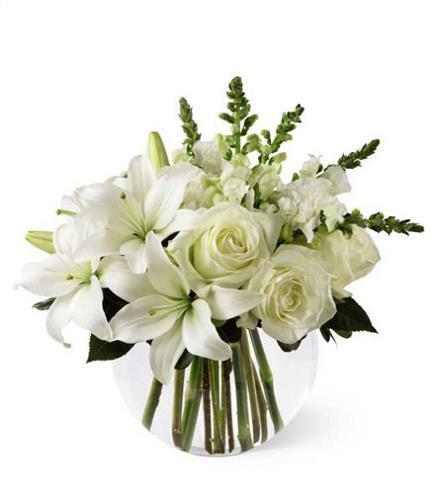 White roses, Asiatic lilies, snapdragons and carnations are paired by lush greens and arranged in a clear glass bubble bowl to create a soothing display of sincere serenity. 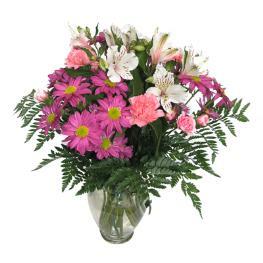 White Flowers Special Blessings Vase Bouquet.